Virgin Trains reinstates Daily Mail - but who really made the decision? 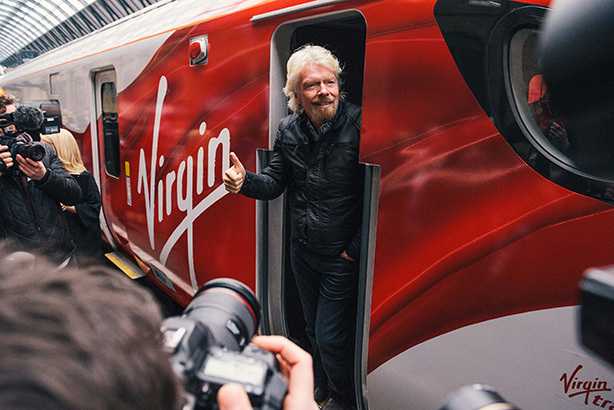 Sir Richard Branson has reversed Virgin Trains' decision to stop stocking the Daily Mail on its services - a decision he said that he was not involved with or aware of until last week's media reports. Last week that the train operator had stopped carrying the paper in November, the company was widely criticised for "censorship". A statement from Branson has now been posted on the website of Virgin Management, the organisation overseeing all Virgin investments. Virgin owns 51% of Virgin Trains and the remainder is owned by Stagecoach Group. It says that Branson and Stagecoach boss Sir Brian Souter were not aware of the decision until they read last week's reports, and was "not part of some grand campaign or at my behest". It goes on to say that the company respected its employees' decisions but had listened to concerns that the decision constituted censorship. The Mail will now be stocked, it says, and a review of the company's sale policy will be conducted. "When Virgin Trains took the decision back in November to remove the Daily Mail from sale, it was not part of some grand campaign or at my behest – indeed Brian Souter and I were not aware of the decision until we read the media reports this week. "The decision was made in response to feedback from some of our Virgin Trains employees. Brian and I respect our people when they make decisions and we listen to their views. It is the way we have always run our companies. "But we must also listen to the concerns voiced widely this week – by those who agree with the Mail’s editorial stance and those who vehemently disagree with it – that this move has been seen as censorship. "Freedom of speech, freedom of choice and tolerance for differing views are the core principles of any free and open society. While Virgin Trains has always said that their passengers are free to read whatever newspaper they choose on board West Coast trains, it is clear that on this occasion the decision to no longer sell the Mail has not been seen to live up to these principles. "Brian and I agree that we must not ever be seen to be censoring what our customers read and influencing their freedom of choice. Nor must we be seen to be moralising on behalf of others. Instead we should stand up for the values we hold dear and defend them publicly, as I have done with the Mail on many issues over the years. "So Brian and I have instructed our team at Virgin Trains to reconsider this decision and re-stock the Daily Mail while they undertake a full review of their sales policy, making clear that this policy should not single out individual media titles." A version of this article was first published by PRWeek.